Jameson were the sponsors of the Anchorman 2 premier launch event, they wanted to give away tickets to members of their Cult Film Club, so that people could attend the premier events around the country. The main focus of this design was a competition so that people could enter, and a mobile application so that people could enter the event using their digital ticket once they had won the competition. 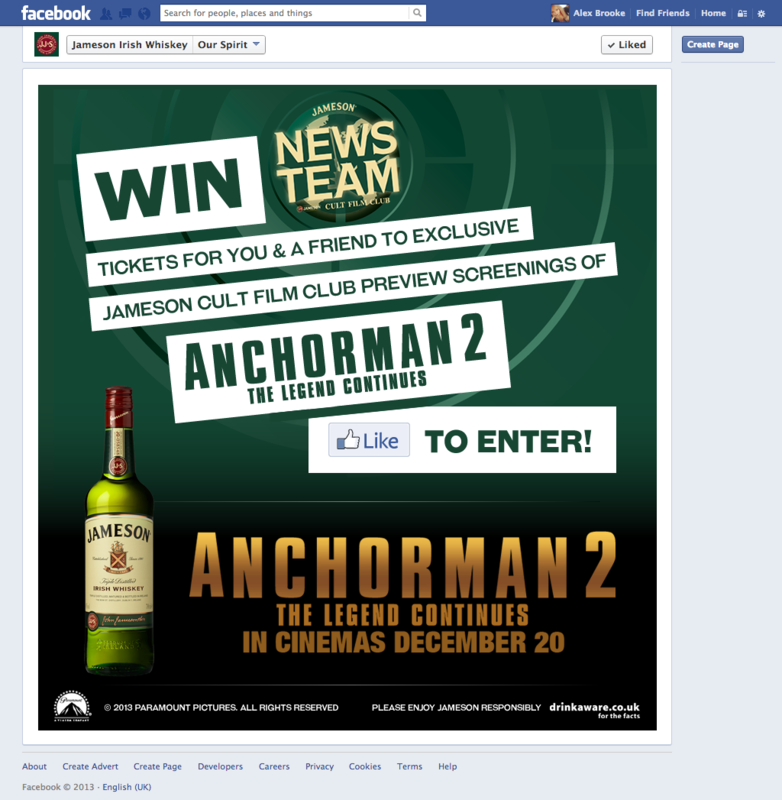 The application was heavily branded using the Jameson brand and aspects of the Anchorman 2 Movie branding.